After the weekend, another chapter comes to a close for the Malaysian National Football team and if I would echo almost every Malaysian watching the finals of the AFF Suzuki Cup 2014, we closed it with one hell of a bang. As I was with Ash and Rafie during the match with Vietnam, we were once again with the Ultras, cheering and screaming our lungs out. 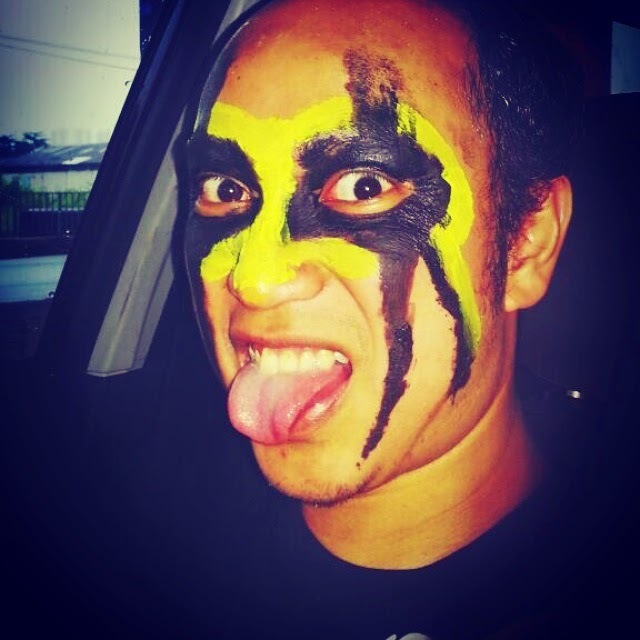 This time around I even came with me own face paint design, similar to the one that I wore during the Astro Launch. Once again, we never did stop and we just kept going with the singing, even through the three goals that we scored, and even through the despair of the last ten minutes that broke our hearts. Even when the match was over, at the point of the prize giving ceremony, we kept on singing knowing that despite losing the championship trophy, we walked out with our heads held firmly high. So what do we get from all this? It was a great discussion between Ash and I on the drive back home and we both concur, that if there was any evidence needed to show that Malaysians still believe in our football team, this would be it. 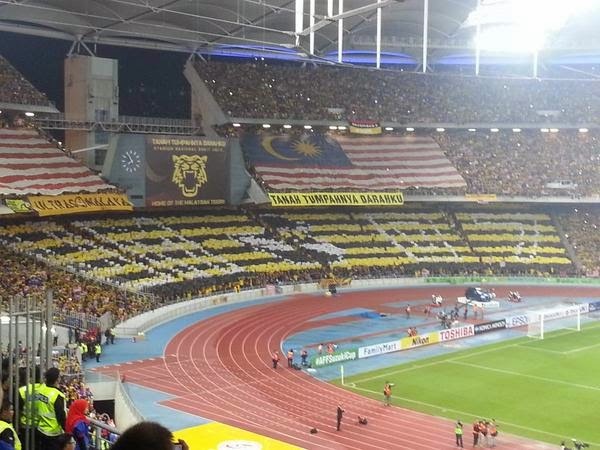 From the past, where most Malaysians would think that the hope of our national football team is buried under years of corruption, favoritism, lack of effort and everything else in the same tune, to an overwhelming support that one would be able to see from our games. For if there is anything that can reform our football back to it's former glory, it would be the supporters themselves. We have seen the likes of Myanmar, Vietnam and even Philippines, who were once considered the whipping boys of our region. Today, there have emerged to be one of the title contenders in ASEAN, and all of that is done with the lack of funds and facilities compared to what we have in Malaysia. So what have we gathered from all this? As much as we have supported the country in their games, we need to continue doing the same for our own local teams. I had a quick chat with someone from the Gate H Boys and they believe that the only way for us to get back to our glory days is to go back supporting the local teams like how we did when we were still in the Dunhill Semi-Pro days. So many ask why is our football lacking the quality we once had, I would then question them that partly is because our own people would not go back to the level of support we gave our teams like back in the days. We showed that despite incidents that happened during the tournament, Ultras Malaya is now synonym to our passion for football, not hooliganism. Decorum during our cheer is now put into importance and solidarity among the supporters from different states and background now becomes the main agenda within the ranks of the Ultras. Malaysians can now hold themselves high, between the supposedly superior Singaporean Fans, and of course one could not forget the abusive and rude Indonesian supporters who are more interested in getting into fights than actually supporting their team (much examples can be seen of their supporters jeering and honking during the opponent's national anthem and justifying why they do that). The fundamental core of supporters are two things with the Ultras, be behind your team at whatever cost and respect those who are playing with you. I believe most of us have shown that. And finally, the governing body of FAM and the Ministry of Sports need to recognize the Malaysians that was behind the team. 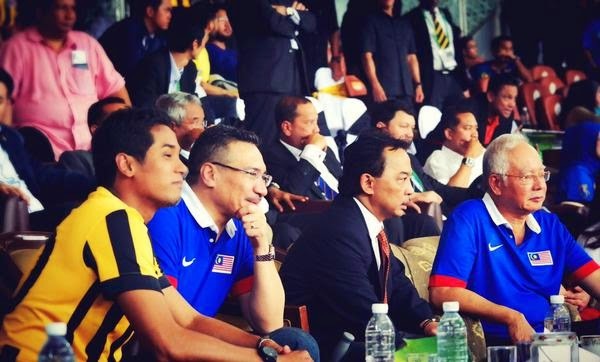 Much have been said about the need of change and revamp to be done to the football scene here in Malaysia but I strongly believe that the Ministry need to also support the hardline supporters in whatever way they can. These people who are organizing the Ultras are doing it with their own funding and it would be a shame for the Ultras to fade due to the lack of support. I think there was a lot that can be said in the image above but if there is any consolation, I believe that the show we put out on Saturday, be it from the "never say die" performance of the team to the "90 minute chanting" of the Ultras, would be proof for the Ministry and FAM to contribute the same level of excellence in improving our team and supporting the people. With the likes of "old war horses" like Indra Putra, Shukor Adan, and Amri Yahya contributing a lot to the National team, one would then question what is done in order to ensure the re-development of young talents to take over in the years to come? We have seen the likes of Philippines and especially the 2014 Champions Thailand, who fielded a successful Under-23 team into the competition. What we can gather from this competition is that there is now a strong believe among Malaysian supporters that we still have a strong hope with our football team and that same believe is the same thing that fuels our national team to become stronger. With the close of this competition, it would not spell the end of our National team but in fact it is making us stronger. I believe Malaysians can take pride of "turning around the impossible" which is the same mindset that we all need to turn the tides around in the fate of our football team. As for this writer, I am imploring myself and the rest out there to to the same. Support your foreign teams as you were but give the same for your local teams as well, for that would be the key factor to further improve our football in Malaysia and thus, improving the prospect of our National Team. Thank you Ultras for letting me join in and I will be back with you guys for the next game. Perhaps it is also time for me to go back supporting my original team. Til the next game guys. "Selamanya Harimau Malaya, Selagi Kita Bernyawa"